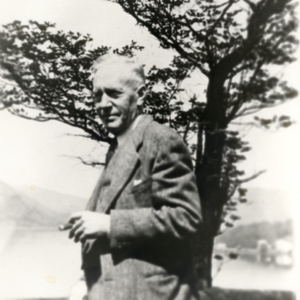 Photograph of Dr. Daniel O'Gorman Lynch, Superintendent of the Ontario Hospital, Penetanguishene from1932-1934. 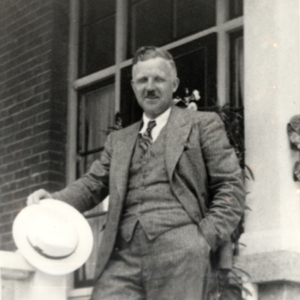 Photograph of Dr. Claude Andrew McLenahan, Superintendent ofthe Ontario Hospital, Penetanguishene from1934-1945. 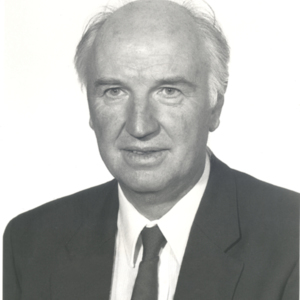 Photograph of G. Tennent, Psychiatrist in Chief from 1988-1989. 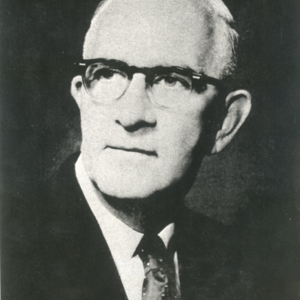 Photograph of Dr. William A. Cardwell, Superintendent of the Ontario Hospital, Penetanguishene from 1948-1960. 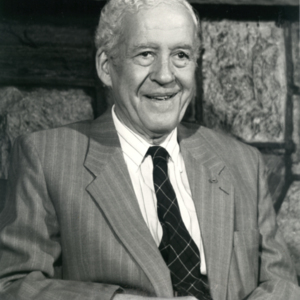 Photograph of Dr. Barry A. Boyd, Superintendent of the Mental Health Centre Penetanguishene from 1960-1974 and Medical Director from 1974-1978. 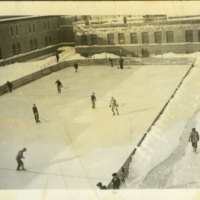 Photograph of patients from the Criminal Insane division playing hockey in the yard. 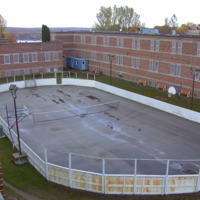 Photograph of hockey rink converted to tennis court during non-winter months in yard at Oak Ridge. 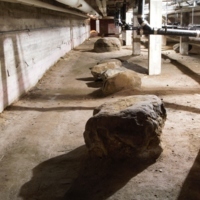 Photograph of the boulders in the dirt basement running under the 1933 wing of the Oak Ridge building (room B-21). 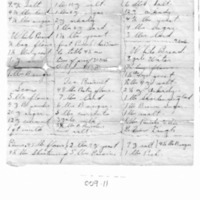 Recipes used at the Penetanguishene Mental Health Centre for bread products between 1930 and 1960. Includes recipes for buns, whole wheat bread, white bread, scones, tea biscuits, and "Ontario Hospital Bread."